The real estate market has finally taken a breather after many months of frenetic activity and relentless price increases. Buyers are able to breathe easier, as one of the hardest realities of the recent market – the bidding war – is taking a break. But will the real estate market come roaring back? Many people in the industry are predicting that it will. 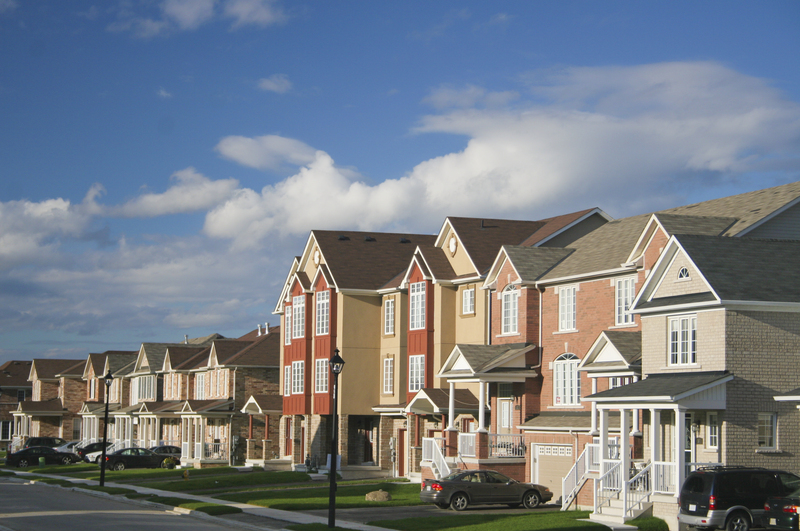 The supply of available housing stock remains as tight as it ever was. 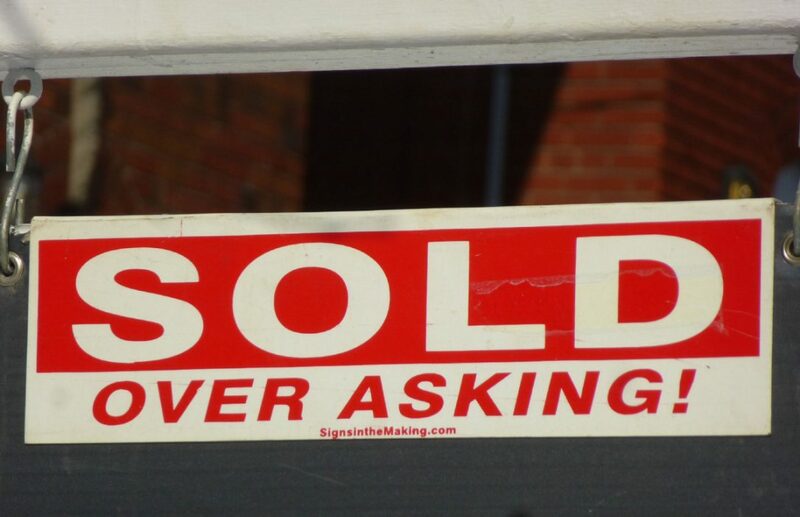 Will we get back to the bad old days when every listing had multiple offers and a bidding war? Sellers always worry that a buyer could be over extending themselves in a bidding war. The worst case scenario is when a buyer feels remorse the next day, before they have their bank draft deposit in hand. What if they decide to back out? This creates a nightmare scenario for the Seller, who may have turned away a dozen other offers, and is now faced with a Buyer who wants out. Legal implications aside, having the certified cheque or bank draft with your offer shows that if they select your bid, there won’t be a problem with buyer’s remorse in the morning. If your bid is not the winning one, you can return the bank draft cash to your account, with no extra fee or wait hold time from the bank. When a bank offers mortgage funds for any property, they will always have a professional appraisal done as part of their due diligence. Typically the buyer pays for this, and the appraisal is done after the sale. Occasionally, when a bidding war gets carried away, the eventual selling price is higher than the appraisal says the house is worth. At this point, the buyer has a problem – they will need to increase their downpayment to get the mortgage funds, and to stay within the bank’s allowed parameters. By paying for a bank appraisal before the offer date, you the Buyer then have a ability to show a nervous Seller that you have enough cash for this eventuality. By knowing the appraisal value upfront, you can make it clear that you have the extra money needed, that is extra money that won’t be in the mortgage loan. Try and personalize your offer. Write a note and include a photo to give an idea who you are and who is moving into the home. Tell them something about yourself. Many Sellers have lived in the same house for years, and they care about their neighbours, and about their neighbourhood. When you show them a bit of who you are, you essentially humanize your offer, and this can sometimes make the difference in which offer the Seller selects. In a hyper-kinetic real estate market, the old way of doing offers is dead. What used to be normal practice – including conditions on financing, house inspection, lawyer’s approval, status certificate and so on, is no longer acceptable. When you are in a bidding war, there can be no conditions attached to your offer. It is also no longer possible to offer a price to be paid on the condition that the owner undertakes some bit of care or maintenance. If you need an inspection, arrange that beforehand. One of the most extreme tactics in a bidding war is the bully offer. It works like this: When the house comes on the market, there is usually a date specified in the MLS listing, when offers are welcome, a date which is usually several days in the future. The bully offer ignores this date, and is submitted in the hopes that the seller will be so impressed that they will take it, rather than waiting for the offer date and the submission of other bids. It stands to reason that any bully offer must be extremely strong, in order to convince a seller to ignore any future bids. At the risk of stating the obvious participating in a bidding war can be very stressful for a buyer (and indeed for a seller). Maintaining a calm, balanced state is essential to winning a bidding war. Make sure your real estate agent is experienced in bidding situations, and learn as much as you can from them. Be philosophical – sometimes you may win, other times it’s just a “practice run”. Try to keep anger and frustration in check, because those emotions will never give you the winner’s edge. You may find yourself up against another buyer who is reckless, and willing to pay any price to get the house or condo. Be prepared to walk away if you are bidding against someone like that. Set a limit of what you are prepared to pay, and respect the limit! Real estate prices go up, and they sometimes go down (although historically, they have been in a solid upwards trend for decades). The house that you paid big bucks for today may go down a little in value at some point, and you don’t want to ever have to sell your house at a loss. So keep everything in perspective. Remember that even in a flat market, you will need to live in the property for a couple of years at least, to cover the expenses incurred when buying and selling. Participating in a bidding war can be exhilarating if you win, and devastating if you don’t. By preparing and using some of these pointers, you can increase the odds of coming out on top. We hope you have found these tips on how to win a bidding war useful. Getting a mortgage approval doesn’t have to be a scary or traumatic experience. The banks (lenders) all look for the same signals for credit worthiness, and with a bit of planning in advance, you can ensure a smooth and easy mortgage approval, helping you to get that house of your dreams! By following this timeline plan up to a year before you want to buy a home, you’ll be well prepared for your eventual move. Access your credit report online at www.equifax.ca or www.transunion.ca – and make sure there are no mistakes on it. TIP If your score is low, you can begin to fix it now – there’s enough time to make considerable improvements. Start by paying off debt such as a car lease and credit card accounts with amounts higher than $1,500, as this can help boost your credit score. Smart buyers enter into home ownership with as little extraneous debt as possible. TIP Focus on bringing your credit card balances to less than 50% of the maximum amount allowed. Credit cards that are at capacity hurt your score. Home ownership comes with expenses that renting doesn’t: property tax, utilities such as water and heat, and so on. Start putting aside those amounts every month to help you prepare to take these bills on when you are a homeowner. TIP Park the money in a no tax high-interest savings account and apply it to your closing costs later. Banks and mortgage brokers can sometimes offer different rates. Keep your options open and take the time to do some research on both. Compare what kind of mortgage each one can secure, what their best rate is and what documentation they will need from you. TIP There’s no such thing as being too prepared! Speak to at least two different banks and one or two mortgage brokers and compare, so you get the best rate you can. Most mortgage pre-approvals are valid for three months, but your broker (or bank) will need time to process your application. TIP Order your credit report yourself. Why? When someone else (such as your broker, who needs a copy) orders your report, that’s a query that is reported to the credit agencies, and it can impact your standing. When you pull the report yourself, there is no impact on your credit standing. Attend open houses and start looking with a realtor, knowing in advance exactly how much you can spend. 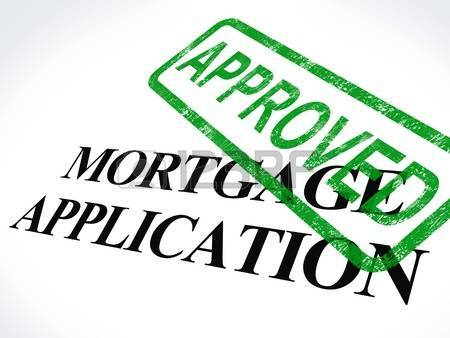 Make sure you get a written copy of your mortgage approval (pre-approval) for your records. TIP Remember that your pre-approval is a maximum. You may find your perfect home for less. Don’t over extend yourself as it is always better to have a buffer for emergencies. Sold Data coming soon for Canadian Consumers?